MagNap is a new minimally invasive surgical treatment for obstructive sleep apnea. and will involve 10 patients ages 21-70. FIRST FOUR PATIENTS TREATED AT UCSF. MagNap uses the force of two rare earth magnets to keep your airway open and relieve obstructive sleep apnea. It is accomplished without the difficult and often annoying consequences of using a CPAP machine. 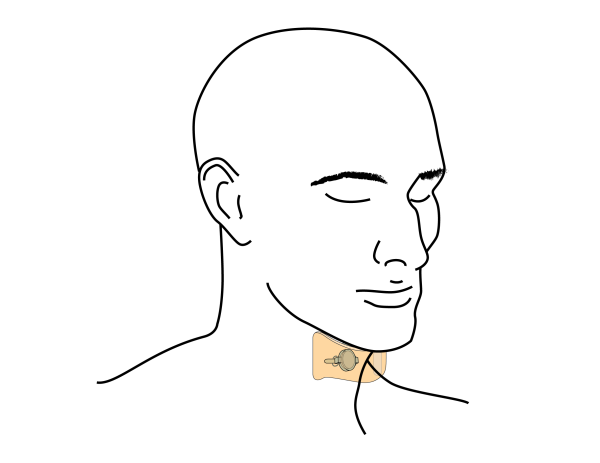 This clinical trial will implant one magnet in your neck and attach another to a small neck brace and uses simple magnetic force to prevent the collapsed airway associated with obstructive sleep apnea. This trial has been approved by the FDA. You can obtain additional information at clinicaltrials.gov . It has also been sanctioned by the UCSF Committee for Human Research (CHR). The MagNap device was developed over a period of 6 years by physicians, scientists and engineers at the University of California, San Francisco. It uses the power of small attracting rare earth magnets to keep the patient's airway open during sleep. We have listed the most asked questions about the MagNap Clinical Trial. Our Study Coordinator will be happy to answer any questions regarding the trial or clarify the material provided here.